I’m proud to be apart of this new magazine! What’s it about? Get creative and exciting ways you can use the art of die cutting sent automatically to your iPad. 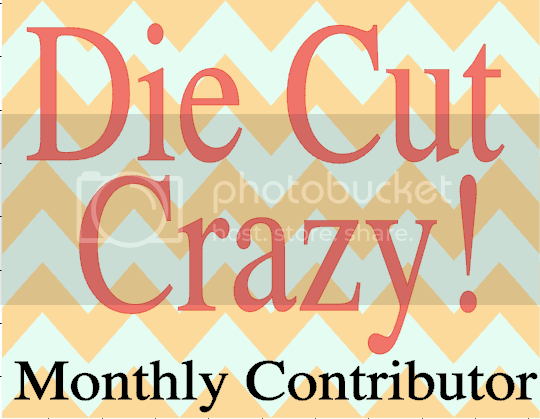 Die Cut Crazy is a digital only magazine created for those who have been bitten by the die cutting bug. Explore the many mediums, not just paper, that you can create with using your die cut machine and die cut products. Check out the magazine and find out what is making everyone Die Cut Crazy! Here is the latest update on the website. Now is a great time to get the new low price and give us your input. We’d like to know what YOU want to see in next months issue! Help us, help you!! Our Readers Have Spoken, and We’re Listening! Hello! Here we are 5 issues in to publishing Die Cut Crazy. In the last few months we have received a ton of good input from readers via email and through reviews. I wanted to take a moment to address some of the issues, and let you know what we are doing to improve Die Cut Crazy. A suggestion we get a lot is about the page count being low. A big reason why our page count is say, 50 pages, as opposed to 100 or more is because we haven’t included pages and pages of advertisements. We will introduce advertising in the future, but our intention is to always let the content outweigh the ads. With that said, we are constantly working on getting more contributors and creating more content to increase the volume in each issue. 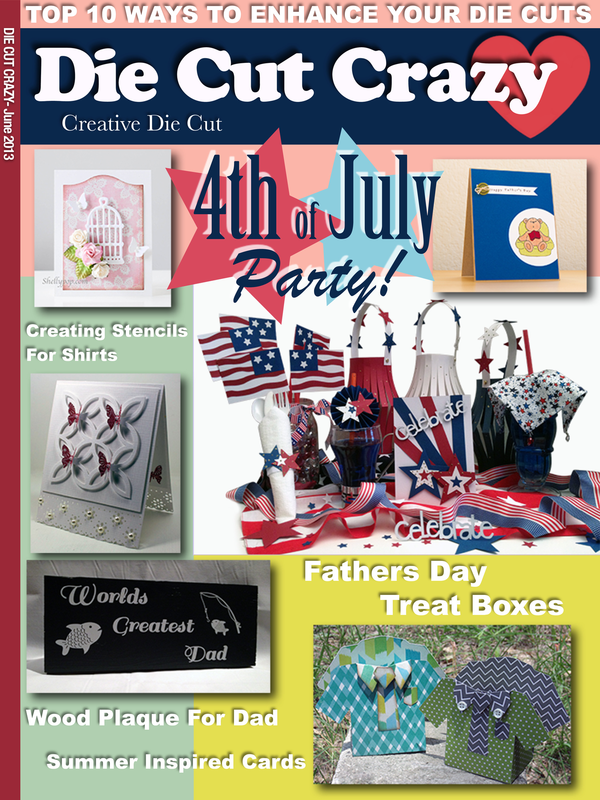 It’s our goal to give you a satisfying experience when you open up an issue of Die Cut Crazy. If you are already subscribed then your next payment will reflect the new plan. Another suggestion we often get is making the magazine available on more than just the iPad. The iPhone version of the app is now in testing and should be ready for release in the near future. There are also plans of releasing to other tablet devices eventually as well. We are also taking this opportunity to give the magazine a bit of a facelift, and add some new sections of content. We started DCC because we love crafting and die cutting, and we wanted to connect with other crafters and have a place to share their projects as well as our own. Please don’t hesitate to leave a comment or send us an email with suggestions, or to inquire about being a contributor. If you’re not happy, we’re not happy! Thanks to everyone who has supported DCC so far! Happy die cutting! Thanks for looking everyone! Be sure to leave us your thoughts. We are always looking for new contributors. If you’d like to be apart of the Die Cut Crazy team, let me know!